1. 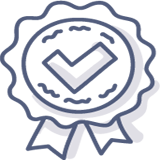 Quality Commitment and Warranty BBT Breaking Barriers Translations is committed to providing on-time, cost-efficient, high-quality translations. We strive for linguistic and subject-matter accuracy, correct grammar, and style, as well as for cultural competence. We do not guarantee that our translations will be 100% flawless. Since our translations are made and proofread by human linguists, it is inevitable that errors may occur or are overlooked. While aspiring perfection, we do not guarantee it. Should any of our translations contain any significant, objective, and verifiable mistakes or errors with regard to grammar, syntax, orthography, punctuation, terminology, or style, we will correct these without charge. However, if corrections are based on the client's subjective preference of style and/or terminology, or if a source text is changed by the client after BBT Breaking Barriers Translations has started the translation process, or if a client's reviewer introduces changes into BBT Breaking Barriers Translations' delivered translation that are not supported by the wording and manifest meaning of the original source text, BBT Breaking Barriers Translations shall not have an obligation to make such corrections or implement such changes at no charge, unless preferences of style and/or terminology have been communicated to BBT Breaking Barriers Translations in writing prior to the start of the translation process. Complaints - In order to be considered, any complaint about translations produced and delivered by BBT Breaking Barriers Translations must have been communicated to BBT Breaking Barriers Translations in writing within a period of eight weeks after the delivery date of the translation in question. Regardless of whether a complaint is justified or not, BBT Breaking Barriers Translations shall have no obligation to consider any complaints that are submitted at a date later than eight weeks after delivery date or that are not submitted in writing. Email shall be considered "in writing". "Delivery" shall mean any transmission of the translation to the client via email, FTP site, mail, or carrier. 2. Confidentiality If requested, BBT Breaking Barriers Translations will sign a non-disclosure agreement in order to assure the confidentiality of the document(s) to be translated. 3. Delivery Commitment We understand the importance of on-time delivery and shall put forth every reasonable effort to complete translations in a timely fashion and within the agreed-upon timeframe. However, BBT Breaking Barriers Translations shall not be considered in violation of its delivery promise if the client shortens the previously agreed turnaround time after BBT Breaking Barriers Translations received the client's written go-ahead. 4. Sample Translations For translation projects of 3,000 words and above, BBT Breaking Barriers Translations will, upon request from client, provide a free sample translation, in order to give clients a perspective of the translation quality and style that we provide, prior to placing a binding order with BBT Breaking Barriers Translations. 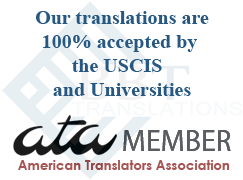 Sample translations are typically 150 source words in length; however, BBT Breaking Barriers Translations reserves the right, at its sole discretion, to change the conditions under which a sample translation is granted, including the size of the sample. If BBT Breaking Barriers Translations receives a translation order based on the sample translation it previously provided BBT Breaking Barriers Translations will make every reasonable effort, without obligation, to use the same translator who produced the sample. 5. Liability Under no circumstances shall BBT Breaking Barriers Translations be held liable for direct, indirect, incidental, special, or consequential damages, harm, financial loss, loss of profits, or any other loss client may suffer, at any time and under any circumstances. 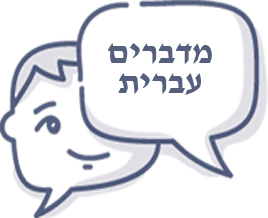 The client implicitly acknowledges and accepts the provisions of this these Terms and Conditions by and when entering into a business relationship with BBT Breaking Barriers Translations. Client shall be deemed to have entered into business relationship with BBT Breaking Barriers Translations from the point in time on when client issues a purchase order to BBT Breaking Barriers Translations or issues a written go-ahead notice or in some other written form, to include emails, accepts BBT Breaking Barriers Translations' cost and turnaround time proposal and advises BBT Breaking Barriers Translations to start the translation process ("go ahead"). 6. Copyright Infringement Client agrees to be solely responsible for the use of our translations, including free sample translations. The client shall be solely responsible for abiding by all copyright laws in any or all countries of the world. BBT Breaking Barriers Translations shall not be responsible for any infringements of copyright laws by clients. The client shall not hold BBT Breaking Barriers Translations liable for copyright infringements through their use of our translation or through their use of any copyrighted material unbeknownst to us. 7. Right to Refuse BBT Breaking Barriers Translations reserves the right to refuse any translation, including free sample translations without explanation. We will generally not perform a translation for which we are not qualified. We may not accept material that we consider objectionable or offensive. 8. Force Majeure Notwithstanding any other provision of this Agreement to the contrary, BBT Breaking Barriers Translations shall not be liable to the client for any failure to fulfill BBT Breaking Barriers Translations obligations hereunder if such failure to fulfill BBT Breaking Barriers Translations obligations is due to any Force Majeure such as but not limited to labor disputes, fire, flood, governmental or political action, acts of God, breakdown of communication networks, power outages, or any other causes beyond the reasonable control of BBT Breaking Barriers Translations. In the event of any such occurrence, the time period for BBT Breaking Barriers Translations performance under this Agreement shall be correspondingly extended. 9. Legal Disputes and Litigation In the event of a legal dispute or litigation between BBT Breaking Barriers Translations and any of its clients, client agrees by awarding an order to BBT Breaking Barriers Translations and thereby accepting these present Term and Conditions that all venue shall be the District Court in the County of Seminole, Florida and that Florida Law shall apply. The parties also agree that the prevailing party in any such legal dispute and/or litigation shall be entitled to recover from the losing party all legal expenses, including but not limited to reasonable attorneys' fees, reasonable and documented travel and lodging expenses, and/or mileage at the effective IRS rate. 10. Pricing, ordering, and payment methods The price for your translation project is based on the specific needs, such as the languages, formatting, editing, legibility of the documents, etc. After the scope of the project has been established, we will submit a written proposal. Upon written acceptance of the submitted proposal by means of a purchase order or by written authorization to proceed by an authorized employee of the client, we will start work on your project. If you cancel your translation after you have ordered it, the client agrees to pay all charges incurred at the time the order is cancelled by the client. No refunds will be issued. 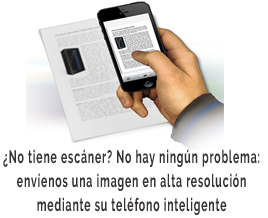 Translated documents will be returned to the client via e-mail, FTP, or by postal mail. Unless agreed upon otherwise in the proposal, payment terms are 30 days net. Any payment by the client, in any form, to BBT Breaking Barriers Translations, Inc. is considered final and cannot be refunded. 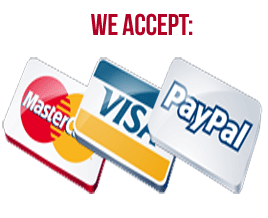 Payments can be made by credit card, check, money order, or wire transfer. For more information, please consult our website at www.bbt-translation-services.com, or call us at (USA) 1-407-286-5978, (INTL) 001-407-286-5978. You can download our Terms and conditions as a PDF file here.